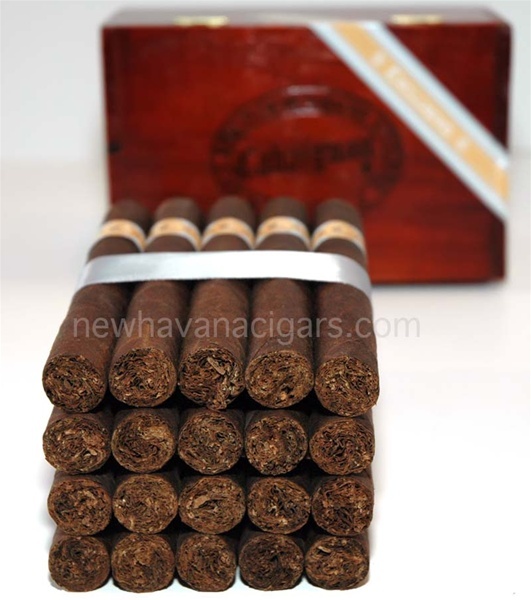 A ribbon holds the bundle of 20 cigars, stacked in 4 rows of 5 each, which is then wrapped in paper and packaged in a beautiful hinged box stained extra dark for this release. You'll notice the reusing of the Guapo boxes as this is such a small run. Only 300 boxes of each size have been produced so far. Full production is slated for Mid 2009.